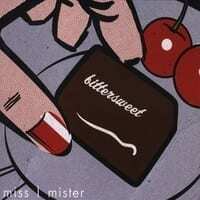 The singer Marina Zettl and the pianist Michael Kahr represent the creative minds behind the project miss | mister. Their latest album bittersweet features a confluence of jazz and pop-elements on the highest musical level. Together with their musical partners Christian Wendt and Jörg Haberl they focus on a fusion of a chamber musical sound and dance grooves. All musicans have a strong background in jazz and yet, their approach with miss | mister balances tradition and modernism. Their lyrics reflect our urban society and their rhythmic power consists of modern beats and flavours of disco dance. In short: a mixture of sweet and bold, sophistication, naive and cynical. The inidvidual approach of miss | mister builds upon the many years of a creative working relationship between Marina Zettl and Michael Kahr. They compose their songs by mutual agreement, closely tied to the meaning of their lyrics in both, English and their native German language. Despite the music’s relation to styles of popular music, improvisation and interaction between the musicians remain crucial elements.